Secretariat at the Belmont. Image courtesy of Champions Gallery. 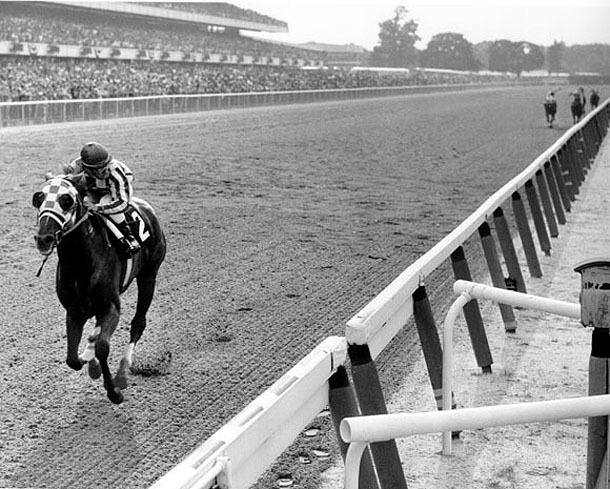 In 1973, Secretariat clocked in at 1:53 flat on the Preakness track the day of the Preakness Stakes. Initially, this time was clocked incorrectly at 1:55, as the electronic equipment had incorrectly recorded the colt’s time to be slower than the hand-clockers had recorded. However in a hearing at Laurel Park, The Maryland Racing Commission ruled that Secretariat had in fact run faster than he’d initially been clock, and that 90-year old owner Penny Chenery had been correct in assuming there had been an error in the records of her beloved horse. With this new distinction made, Secretariat now holds the all-time record for all three legs of the Triple Crown, a feat that took a four-hour hearing and extensive evidence. Secretariat passed away at his home stable Claiborne Farm in 1989 at the age of 19, the proud father of over 653 foals and is now the proud bearer of of a legacy. Secretariat is now immortalized at the Kentucky Horse Park in this elegant statue. Image courtesy of About.com and Cindy Pierson Dulay. Allegedly, Eusevio Huitron was being paid unusually high amount to train horses, and has since been accused of laundering money for Mexican drug cartel. Huitron, who trains racing Quarter horses, has been accused of laundering money for the Zeta cartel through a real-estate business and trained their horses for competition. Authorities confiscated property from Huitron,including one of his prize racing horses, Tempting Dash. This horse had won several races such as the Dash for Cash at Lone Star Park race track in Grand Prairie, Texas, in October 2009. Tempting Dash, one of Huitron’s winning horses. Image courtesy of 440 Post. Initially purchased at a Lakers charity auction by basketball stars Kobe Bryant and Pau Gasol, Siempre Mio finished in second by a nose to Valkyrie Missile at the Betfair Hollywood Park this Sunday. After the race, Siempre Mio changed hands after five offers were made on the gelding. Now Siempre Mio is owned by Donkey Island Racing, a group including New Orleans Saints quarterback Drew Bees. Pau Gasol poses with Siempre Mio at the Betfair Hollywood Park. 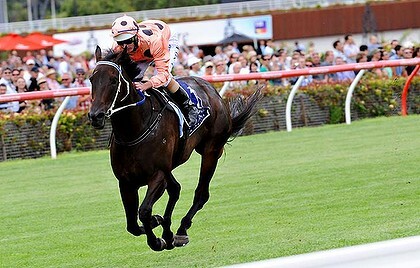 Image courtesy of Betfair Hollywood Park. 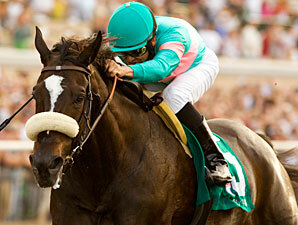 As you may have already read, I’ll Have Another was unable to run in the Belmont, ending his shot at the Triple Crown. 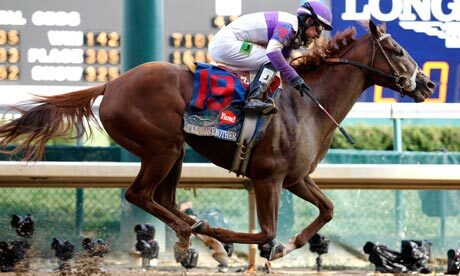 Looks like the racing world will have to continue to grit their teeth for an upcoming Triple Crown champion. I’ll Have Another bows out of competition. Image courtesy of Sports Illustrated. On a less professional note, it should be noted that this author is incredibly disappointed.